Understand sports betting? Good. Neither did I. 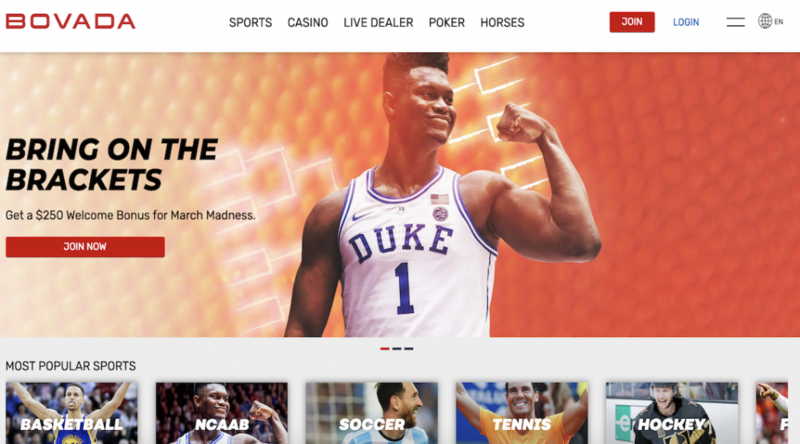 So in light of the recent Supreme Court decision to legalize sports gambling, I sought on some experts on the subject to examine where sports betting is right now, and where it’s going in the future. It wasn’t the ending the Hoosiers hoped for to finish the 2018 men’s soccer season. The Hoosiers fell to Maryland 2-0 in the NCAA Tournament semifinals, failing to reach the third and final goal of an NCAA title. The loss followed a very successful season overall. The team picked up both a Big Ten regular season and tournament title and was the first Big Ten team to go undefeated in Big Ten play since 2005. 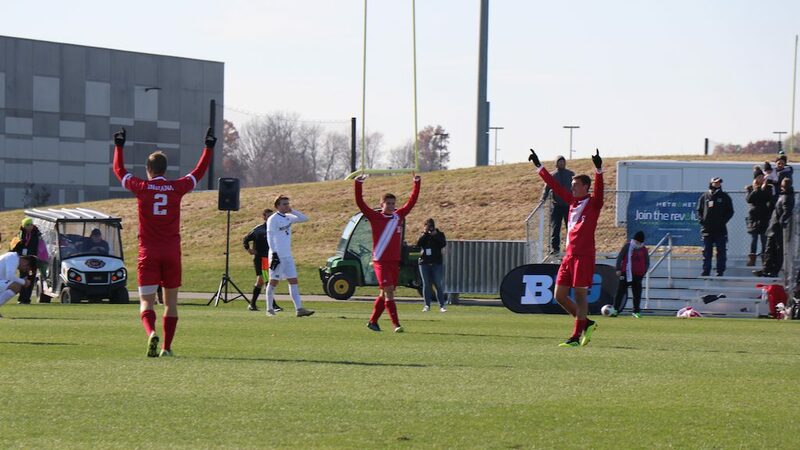 The Hoosiers finished with a 20-3-1 and an 8-0-0 Big Ten regular season record. The timeline below chronicles the entirety of the Hoosiers’ season through the NCAA tournament. Photo at Top: Indiana players celebrate the school’s 13th Big Ten Tournament title after a 3-0 win against Michigan (Nick Hennion/MEDILL). When the Indiana men’s soccer team started the season almost three months ago, players set three goals for themselves. Become Big Ten regular season champions, win the Big Ten Tournament and win a NCAA tournament title to cap it off. After defeating the University of Michigan Wolverines 3-0 Nov. 11 to capture the Big Ten Tournament title, the Hoosiers have corralled two of those goals. Prior to the tournament, the team won its 15th Big Ten regular season title to clinch the first of its goals. 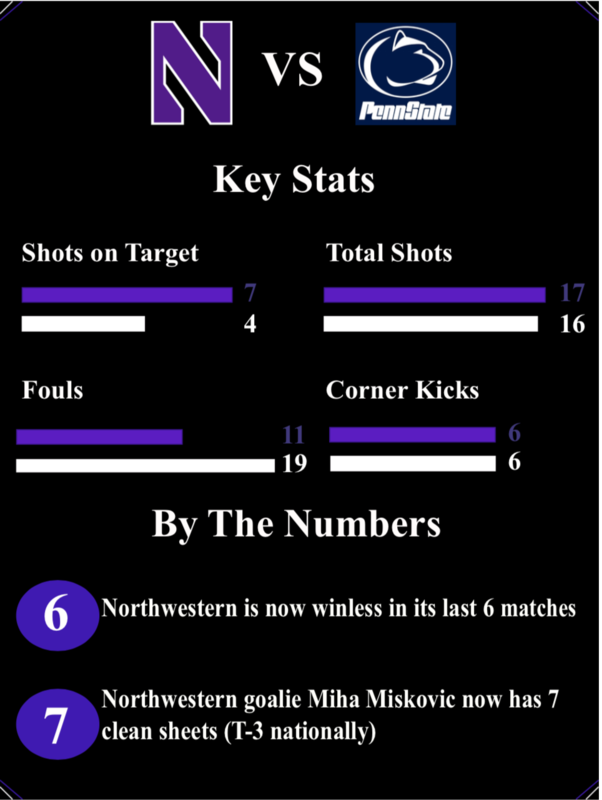 Northwestern University’s soccer struggles continued Saturday night as the Wildcats failed to find the back of the net in a pivotal Big Ten matchup against Penn State, with the game ending in a 0-0 draw. Entering the fixture on a three-game losing streak, the Wildcats are now 0-4-2 for the team’s last six contests. A win on Saturday would have moved the Wildcats into a tie with Penn State’s Nittany Lions in the Big Ten standings. Even though the Wildcats offense produced no goals, head coach Tim Lenahan saw positive steps from his side. Even in a scoreless game, the Wildcats created plenty of quality scoring chances. 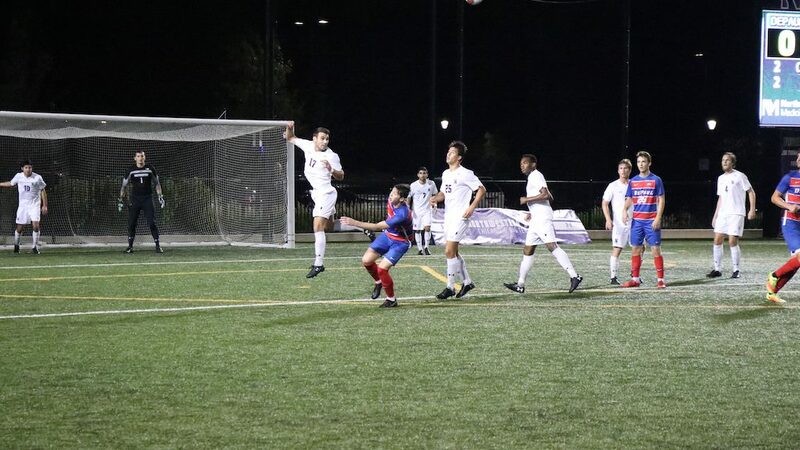 Junior Sean Lynch and sophomore Tommy Katsiyiannis generated quality opportunities in the first half for the Wildcats, who held the opposition without a shot on target in the opening frame. 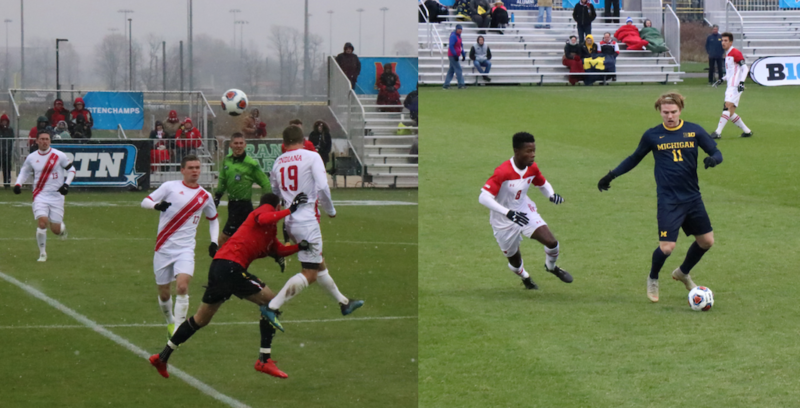 The best chance for either side came in the 58th minute for the Wildcats. Forward Jose Del Valle fired a shot from a tight angle that rebounded to Bardia Kimiavi, who then forced Penn’s State keeper to make another save. A third shot on target from midfielder Connor McCabe earned the Wildcats one of its six corners. The overtime frame proved to be difficult for the Wildcats, who were outshot 7-3 during those 20 minutes of play, though nobody scored. Lenahan said the Wildcats seemed to lose focus and weren’t very sharp. The man of the match for the Wildcats was certainly goalkeeper Miha Miskovic, who recorded his seventh shutout of the season. Miskovic finally faced a shot on target in the 71st minute of the match and ended the night with four saves. The sophomore said the team’s defense was solid all night in terms of denying Penn State quality opportunities. Lenahan said having a year under his belt has proved beneficial for Miskovic, who currently sits tied for 3rd nationally with his seven shutouts. After starting in only four games last season, Miskovic has seen his save percentage rise 12 percentage points from 64.3 percent to 76.5 and his goals against average fall to under a goal per game. Even with Miskovic recording seven shutouts, the Wildcats find themselves under .500 for the first time this season. Northwestern has not recorded a winning season since 2014. Northwestern will have its first chance to get back to .500 Tuesday against DePaul University with its next Big Ten matchup Friday at Rutgers University in New Jersey.